BAP also offers review sessions at the end of each semester for ACCT 201A – Financial Accounting and ACCT 201B – Managerial Accounting, two courses that can act as roadblocks toward timely completion of the accounting program. For more information on BAP, visit them online. 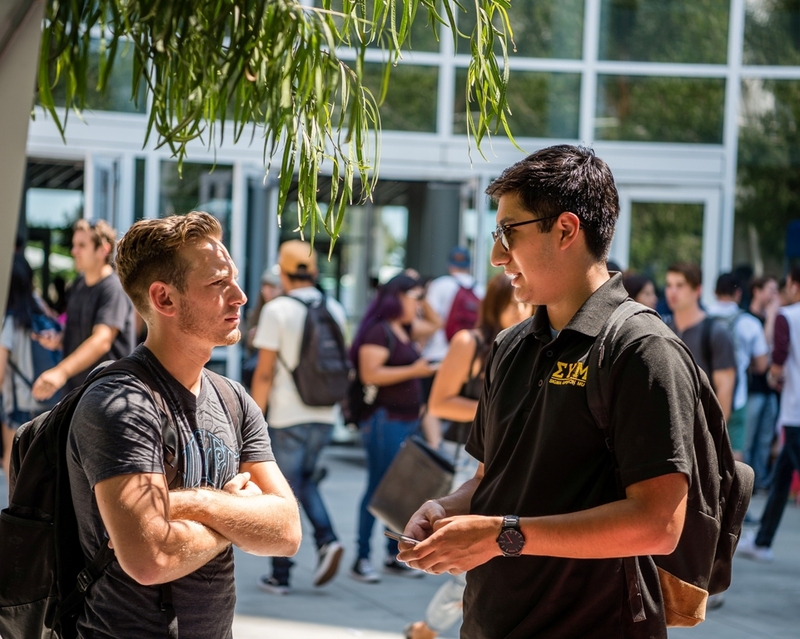 From cleaning natural spaces in Orange County to networking with alumni and the business community, Delta Sigma Pi, one of the nation’s largest business fraternities, equips today’s students for success in the global economy. Participants can gain public speaking skills, fine tune résumés and work on their interviewing skills through regular events. Interested in joining? Check out their application online. Cal State Fullerton’s chapter of Phi Beta Lambda, the university component of the FBLA-PBL organization that also serves high school students nationwide, has won numerous awards at state and national competitions in the last few years. PBL invites students of all majors to attend lectures from guest speakers, workshops and social events designed to train the next generation of business professionals. Participating in competitions provides a great opportunity to hone your skills and vie for honors. More information and a membership application are available online. Mihaylo College is a leader in education for the insurance, risk management and actuarial science fields. The Center for Insurance Studies (CIS), provides resources for students interested in a career in this growing global field. Gamma Iota Sigma, an insurance studies-based fraternity, collaborates with CIS to bring speakers, résumé workshops and networking activities to campus. They also participate in the annual International Conference in Columbus, Ohio, the premier event engaging the next generation in the insurance industry. This year’s event is scheduled for Sept. 29-Oct. 1. A membership application is available online. Applicants receive free admission to all events, lifetime enrollment in the organization and scholarship opportunities. PSE stands alone as the only fraternity specifically for sales, marketing and management students. They offer sales projects and competitions, community service activities and interaction with recruiters to maximize career potential. Members also receive discounts on Geico Insurance, Enterprise Rent-A-Car, Credible student loan savings, many hotels and subscriptions to The Wall Street Journal. More information and how to apply is available online. Founded in 2014, Mihaylo’s newest fraternity is designed specifically for aspiring entrepreneurs, with membership open to all majors. The highlight is the 8-Hour Business Challenge, in which members compete against college students from throughout Southern California for the chance to win up to $1,000 while gaining the skills needed to start a business. For more information, visit them online or contact president and co-founder Miguel Olivares ’16 (marketing) at 626-222-9342 or email MiguelOlivares626@gmail.com. Next: Next post: Why Can’t We Afford Housing in Orange County?